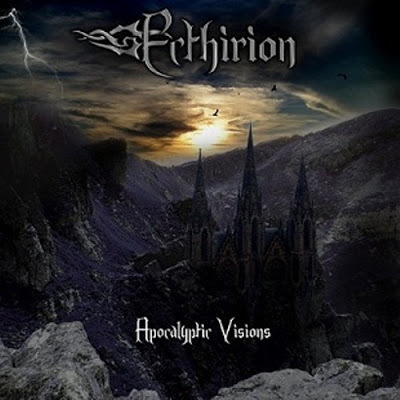 Soundmass is pleased to be releasing the debut 5-track EP, “Apocalyptic Visions”, for Ecthirion on May 22, 2009. With guest vocals by Eugen Dodenhoeft (Far Beyond) and Azahel Frost (Frost Like Ashes) and operatic vocals by Josh Edwards, expect epic orchestral metal with Vviking and black metal tendencies. Recommended for fans of Dimmu Borgir, Turisas, Freedom Call and Far Beyond.